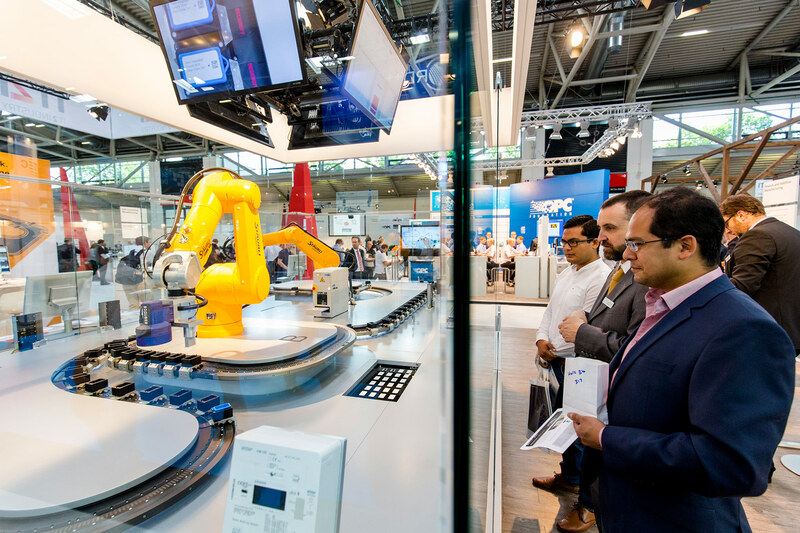 From June 19 to 22, Messe München will be showcasing IT2Industry as a new integrated topic area under the automatica 2018 umbrella. More than 50 exhibitors both from the classical IT fields and specialist providers from the industry environment are showcasing themselves in a combination of lecture program and exhibition. There are currently 50 exhibitors registered in the IT2Industry topic area. These include classic IT providers, such as the blu Group, Trend Micro Deutschland, SpaceNet or proALPHA Business Consulting. Also on show are companies offering practical Industry 4.0/IoT applications, smart maintenance solutions or IoT platforms such as Connyun, Device Insight, WidasConcepts, tresmo, IAS Mexis or softgate. They are presenting products for the smart factory, industrial IT security via cloud computing, big data through to virtual reality, industry-specific software, and systems and predictive maintenance. Digitalization creates completely new business models. These are based on platforms and ecosystems, i.e. innovation partnerships between companies jointly promoting new developments in order to consolidate and develop their competitive advantage. automatica employs a special show featuring lectures and a presentation area to highlight possible scenarios. Models and prototypes are used to explain how the technical and business potential of the IoT can be achieved for real in companies. The new Smart Maintenance Pavilion provides an important platform for dialog, and not only for maintenance experts. This is where visitors experience a compact amalgam of information, real life examples and personal reports. On the one hand this includes real-life exhibitor and maintenance demo park applications; and on the other hand, in-depth expertise – put across in a practical setting in the IT2I forum lectures and at the “Meet the Experts” forum. Acoem, IAS Mexis, Softgate, and SOGEMA provide valuable insights. A particular exhibition highlight is the show put on by OPC Foundation. Together with its partners, the provider of the widespread OPC Unified Architecture standard (OPC UA) is demonstrating the latest solutions for manufacturer-agnostic communication in automation technology. June 22 at automatica 2018 marks the second OPC Day Europe conference. Successful Industry 4.0 and IoT business models will be introduced in specialist lectures and discussions at the IT2Industry Forum. Companies such as IBM, Connyun, TÜV Süd will provide insights into their Industry 4.0 strategies. 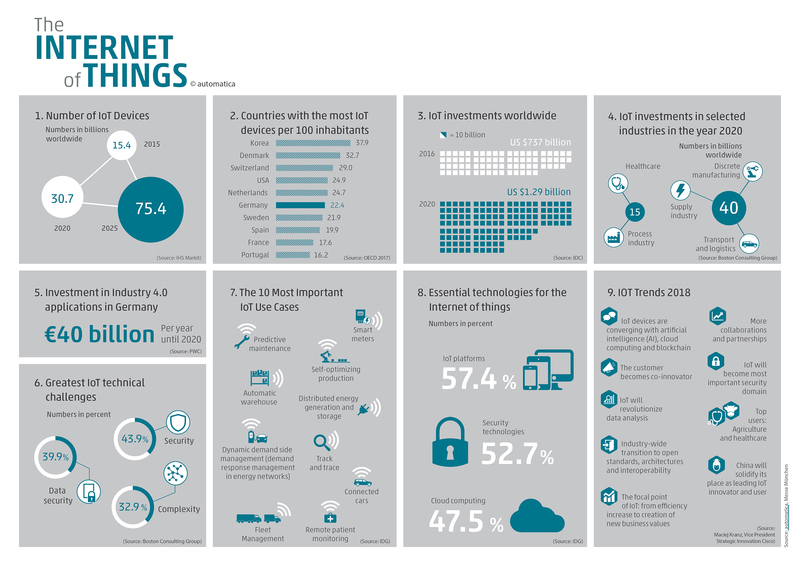 Universities and research institutes will be presenting research findings from the IIoT environment. The Chaos Computer Club will be speaking about cyber security in the era of billions of unsecured IoT devices. The conference program will be rounded off with three podium discussions in which analysts, practitioners and researchers will debate IoT platforms, business models and Artificial Intelligence. 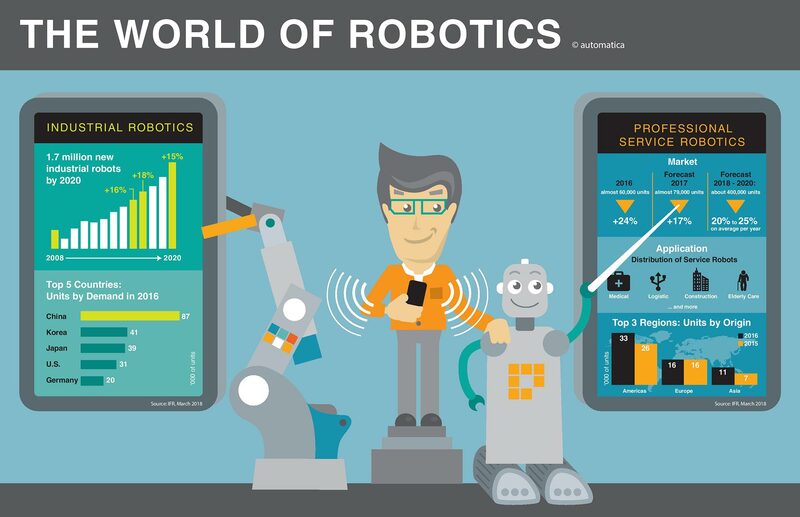 “automatica brings the digital transformation in manufacturing to life with its IT2Industry topic area. We give manufacturing companies an overview of current digitalization trends. It is definitely worth attending, especially as visitors will meet people here from the most diverse technical areas and sectors”, explains Manfred Salat, automatica IoT accelerator. Visitors will find yet further highlights in the Future and Innovation Hall B4, with two such showcases transforming the catchword Industry 4.0 into experiential reality. With the OPC UA Demonstrator the VDMA (German Engineering Federation) Robotics + Automation Association is presenting a future-proof approach to standardized, manufacturer-agnostic information exchange. The objective is to make the potential of OPC UA both tangible and comprehensible. Two use cases are presented at the OPC UA demonstration area. The “smart4i Next Generation Demonstrator”, initiated and promoted by the VDMA’s Food Processing and Packaging Machinery Association (VDMA NuV) also affords the opportunity to find out more about tomorrow’s manufacturing in an interactive way. There is also the opportunity to custom configure a small model car by means of a cloud landing page. Both the car body and add-ons can be configured. The customized vehicle is then manufactured live at the exhibition by integrating both real and virtual production stations. In addition to the IT2Industry topic area and Industry 4.0 highlights a further approximately 30 automatica exhibitors will be presenting cloud computing and software solutions.